Social engineering is a psychological tool that hackers use to take advantage of patterns in human behavior. These tactics are designed to get people to perform actions and provide highly confidential information on themselves or their company. In addition, hackers use customized tactics to access different entry points and determine network security gaps for plotting cyber-attacks. With the average data breach in 2018 costing $3.86 million, according to Ponemon Institute, organizations need to focus their attention on building robust cybersecurity training programs and strengthening their security protocols. In this blog, we’ve outlined common social engineering attacks and security tips for avoiding them. This type of social engineering scam tricks people into giving out personally identifiable information (PII) to the hacker via email. Bank account information and financial data are the types of information these hackers go after, and they’ll pretend to be other organizations or people that the victim interacts daily. These emails will include malicious links or attachments that infect devices and their networks with malware. Spear phishing, a subset of phishing, is a targeted attack personalized to individuals in specific roles in an organization. Hackers will pretend to be financial directors, CEOs or department heads, and reach out to a particular group of employees, such as assistants. These messages will deliver a sense of urgency and require the respondent to send highly confidential files or information to the hacker. Baiting is used to entice victims with incentives such as free music or video game downloads. If the victim falls for this scam, they’ll provide information like account logins, bank account information and more to access this free content. It’s important to never give away information to sites that are not secure and well-known; otherwise, the information provided will be compromised. Based on a scripted scenario presented to specific targets, this methodology is used to extract PII (e.g., social security number, home address, date of birth, etc.) or other information. 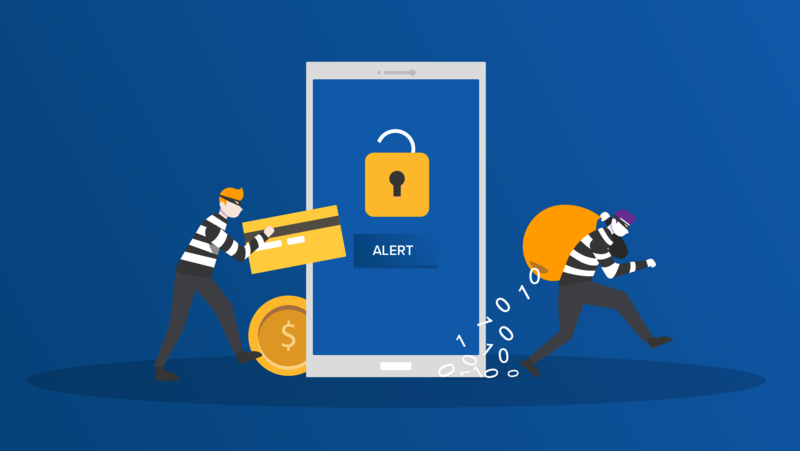 In pretexting, hackers can take on the impersonation of distant friends or family coming in contact with the end-user for more money or links to malware. This type of scam is used when hackers impersonate IT professionals from other companies. They’ll require recipients to download malware disguised as a software update to gain access to their network. Before opening an attachment or link in a message, it’s critical to double check URLs and email addresses for legitimacy. Hackers will manipulate characters and hyperlinks in an email to spoof their victims. At first glance, paypal@mai1.paypal.com might be confused with paypal@mail.paypal.com, and an employee can accidentally click on a malicious link that will infect their entire network. Stay vigilant when reviewing emails and always hover over links to double check for accuracy. By installing, maintaining and updating regular security software, businesses can filter out the majority of malicious spam. These automatic software updates will patch up system vulnerabilities and ensure that employees are running on the most current versions. Hackers are always seeking user credentials. To better safeguard this information, it’s essential that organizations deploy a two-factor authentication solution to increase the account security across their applications. This way employees who handle highly confidential information can add a second layer of identification like a text message or phone call that generates a verification code. Never accept offers from strangers or unknown sites. If an offer seems too good to be true, then it most likely is. By accessing content from only secured websites, individuals can easily avoid these scams online. All businesses need cyber awareness training to teach employees to detect suspicious material and help prevent a cyber attack. Education modules for these programs should be customized to the unique demands of the organization, as well as, their risk profile. By working with a cybersecurity provider, businesses can have access to vulnerability assessments, 24x7x365 monitoring to detect threats in real-time and a cyber program custom to their organization's needs. Align Cybersecurity™, the company's comprehensive cybersecurity risk management solution, provides legally sound, regulatory compliant and workable solutions that are continuously monitored, periodically tested and annually evaluated and enhanced. For more information about Align’s comprehensive cybersecurity services, contact us here or email at cyber@align.com.